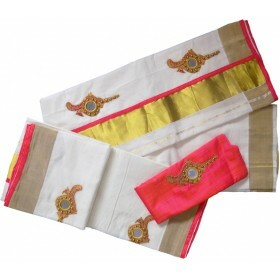 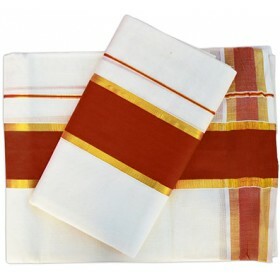 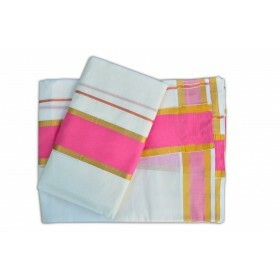 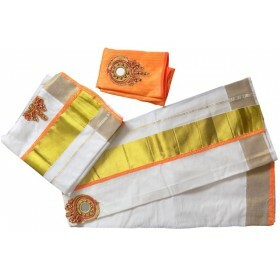 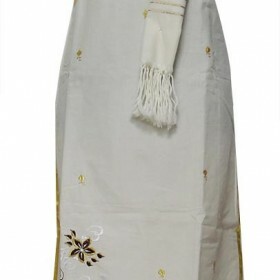 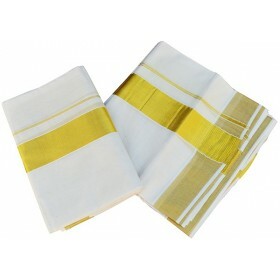 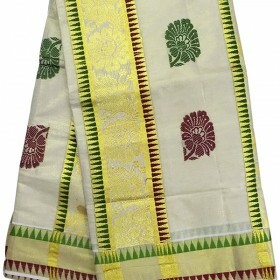 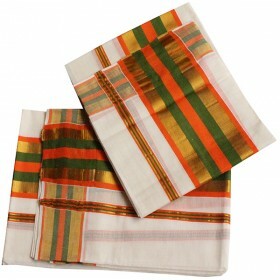 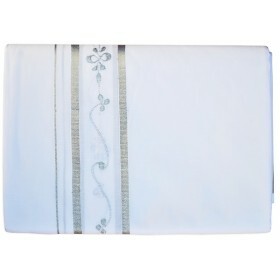 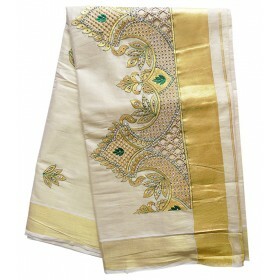 Traditional kerala kasavu set mundu with off white colour and a mat work on it.in the front part vio..
Our most popular and fast moving item of Kerala temple design tissue kasavu saree with elegant pallu..
Kerala kasavu tissue set mundu with brocade design in beautiful colour with flower design border. 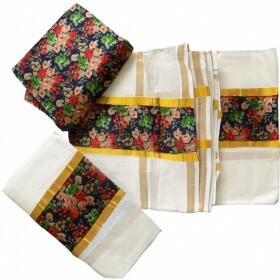 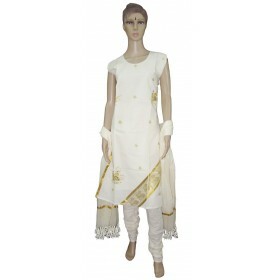 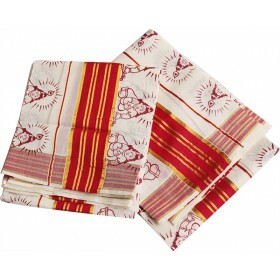 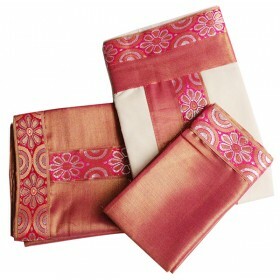 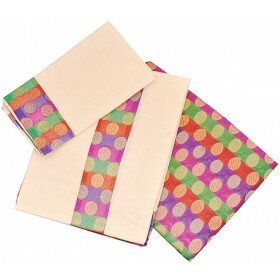 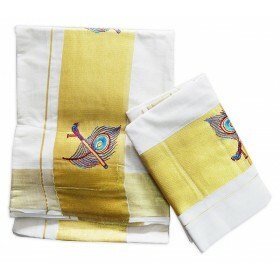 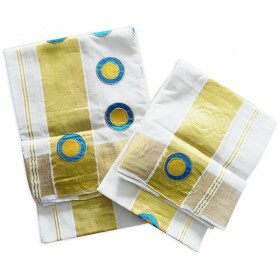 This beautiful set mundu now available with us. 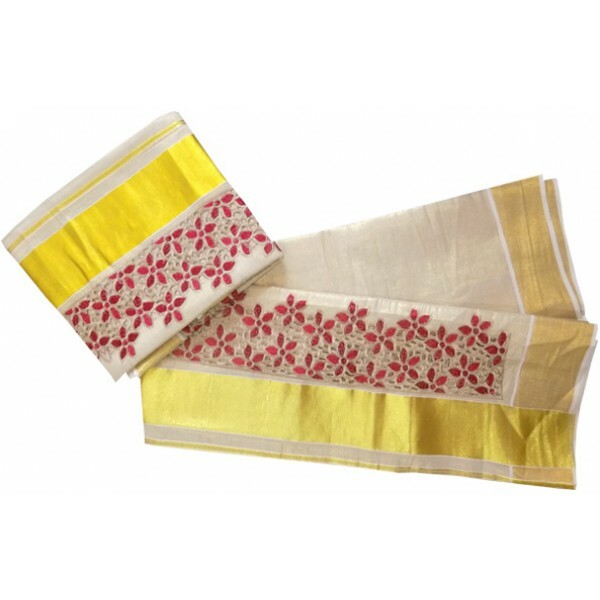 The border has golden kasavu and red flower design on it. 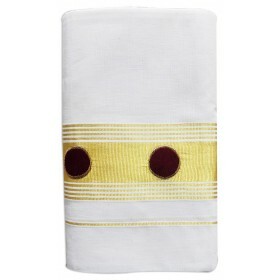 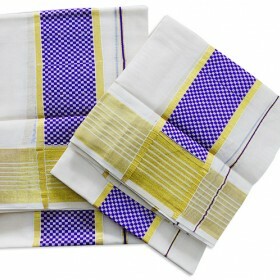 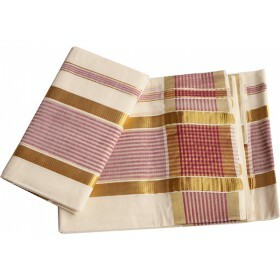 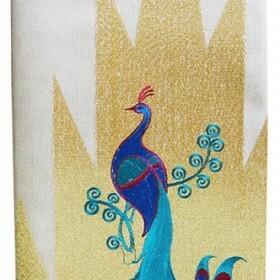 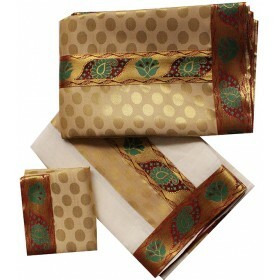 The attached brocade border gives an extra richness to this settu mundu which makes it really modern.